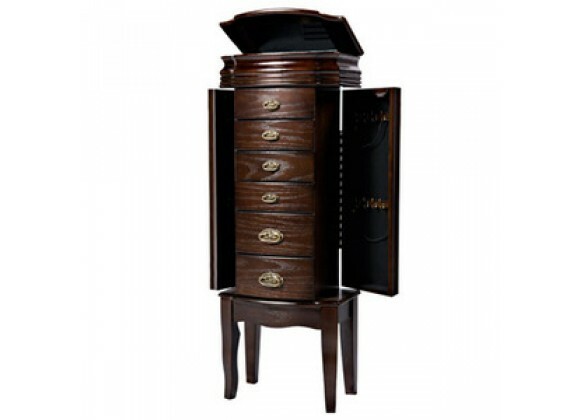 The freestanding "Espresso" finished jewelry armoire is accented with beautiful gold drawer pulls and thin curved legs. Sized for economy and function, this jewelry armoire is the perfect piece to store all of your beloved treasures. Top opens up, side doors open wide and deep drawers pull out to provide ample storage. Inside features plush black lining. Some assembly required.